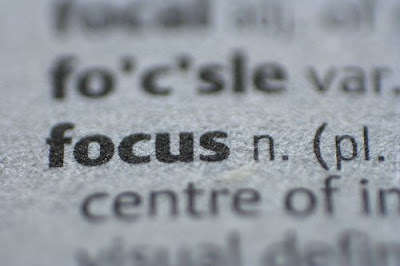 If I had to name the single most powerful concept in business that I have learned, it would be 'focus'. Al Ries and Jack Trout have been talking about focus in business for many years. Their 1986 marketing classic 'Positioning - the battle of your mind' advocates that the more narrow the brand focus is, the more likely consumers will remember what it stands for. They're clearly not fond of brand extensions - believing that brand stretching always dilutes the brand. Al Ries later wrote another book called 'Focus - the future of your company depends upon it' with case studies on companies that lost their path once they strayed from their core business. While extreme in his views at times, Ries is onto something. Of course, this is not new stuff. War strategists have understood the power of focus for a long time. Ferdinand Foch, the french war strategist, said "He who defends everything, defends nothing". Carl von Clausewitz agreed - "In war, few things are as important as placing one's army so that instead of being weak in many places, it is strong in few". Pareto, the 19 century Italian economist, discovered that 20% of our efforts deliver approximately 80% of the results. This 80/20 rule has many practical applications. For example, approx 20% of your customers deliver about 80% of your profits. This is probably the first rule that direct marketers learn. If you're interested, Richard Koch wrote a very practical book titled 'The 80/20 Principle - the secret of achieving more with less' - not a marketing book, but has lots of business applications. And if you're involved in direct marketing, and have not already read Graeme McCorkell's 'Direct and Database Marketing' - I'd highly recommend it. So what are the practical learning? Well, there are many. Identify the important stuff. Put most of your effort into the few things you do well. Compete in only a few places. Against only a few competitors at one time. Launch only one or two major transforming initiatives at any one time. Don't spread your budget too thin. Don't spread your team's efforts too thin. Look after your most profitable customers. And if you're advertising - just say one thing in your ad. All sounds a bit obvious and easy. Perhaps, but not so easy to do. Why? I think this may be because it goes against our human nature. We are opportunistic and have difficulty deciding what not to do. I once read that the most important word in strategy is 'No'. That aside, there is the real concern that is if we are too focused, we might miss the big picture. We miss opportunities. History is dotted with fading (or dead) companies that missed or ignored new trends and technologies to their detriment. But this should not stop us for actively choosing what to do and what not to do. Long before Pareto, Confucius, the ancient Chinese philosopher, explained it simply - "A man who chases two rabbits, catches neither". Hey Paul - best thing I've read in a while, great post! I have to agree with Christian. Also one of the best posts I've read in a long time. Keep up the good work Paul! Thanks for linking back to this post Paul, it is a great one. I regularly go back to Al Ries for business decisions. We find that radio in particular, needs focus. One message and a web contact is the best for us (service industry), and response is therefore easily measured. In todays market, maybe I should seek out Von Clausewitz! thanks Pat. Focus in any ad is a good thing in my mind. One ad. One message.